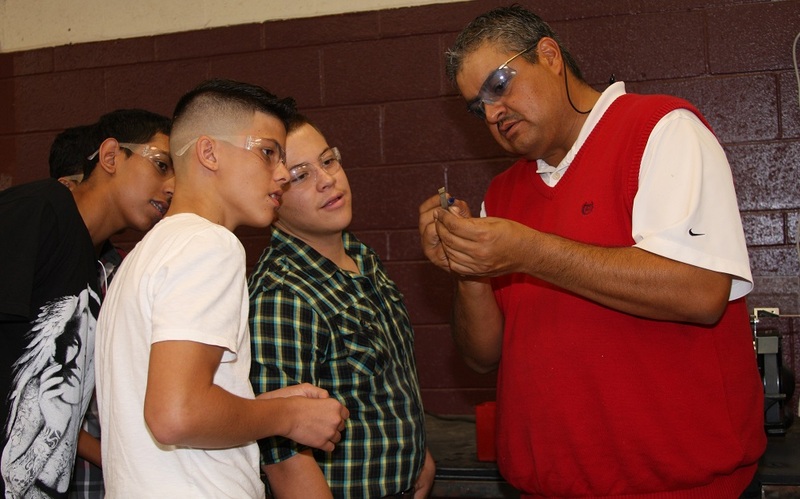 Arizona State University has entered into an historic agreement with the San Carlos Apache Tribe in southeastern Arizona that will bring a college to the tribal nation, as well as programs that benefit youth and emphasize healthy lifestyles. “A tribal college operated by and for Apaches will help secure the future of the tribe, not just as a means for sustainable economic development, but as a critical institution to preserve our language, our culture and our history. 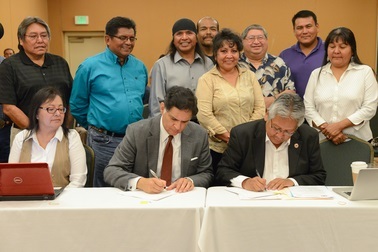 Our partnership with ASU will greatly assist the tribe with making a tribal college a reality,” said Terry Rambler, chairman of the San Carlos Apache Tribe. ASU administrators will work to advise the tribe in establishing the college’s operating guidelines, articles of incorporation and accreditation standards, as well as support for credit transfer partnerships, said John Tippeconnic, ASU American Indian Studies director. Maria Hesse, ASU vice provost for academic partnerships, will work on ensuring seamless transfers for students. “We anticipate that students who begin at the Apache tribal college will be able to easily transfer into majors at ASU, and we will build curricular pathways that ensure they have the right preparation for university success,” Hesse said. 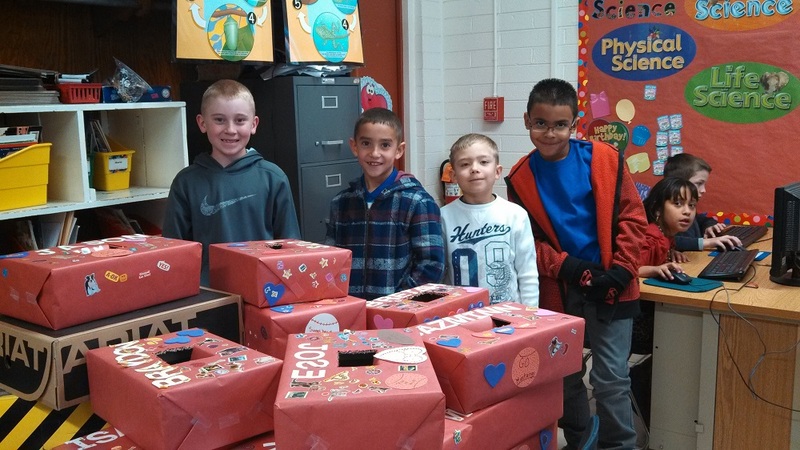 A tribal college will also help youth continue their studies after completing high school. 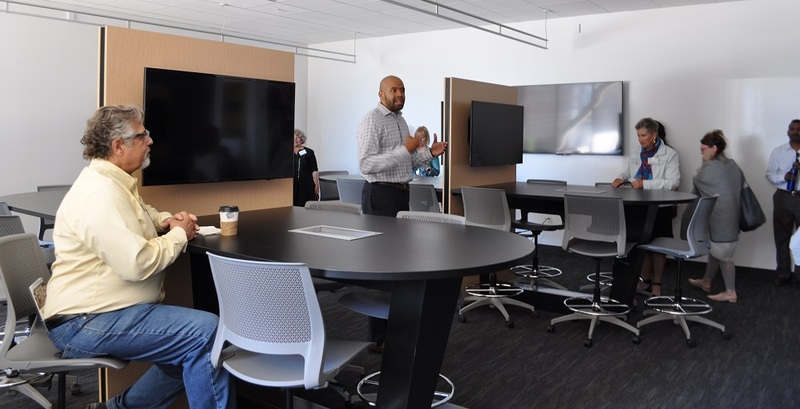 “Aiding in the design of a tribal college will enable San Carlos tribal youth and adults to bridge the gap between high school and the four-year university. This effort will provide a pipeline for students to earn college credit during their first two years and then transfer to ASU,” Tippeconnic said. Tippeconnic has first-hand knowledge of the process since he was instrumental in building Comanche Nation College in Oklahoma. Diane Humetewa, former special adviser to the president for American Indian Affairs, also worked to bring the agreement to fruition. ASU will consult with the tribe in facility design and curriculum. Students from the ASU Del E. Webb School of Construction will benefit from the planning, design and construction processes as the new tribal college is shared as a best practice that will be showcased at ASU-sponsored events. Through the agreement, a Native American Achievement Program that is administered through ASU American Indian Student Support Services will provide academic counseling and personal support. “This will help incoming first-year freshmen and transfer student recipients of San Carlos Apache tribal grants and scholarships to succeed academically and socially at ASU,” said Michael Begaye, American Indian Student Support Services director. The memorandum of understanding also supports the tribe’s Sports Camp and Healthy Lifestyles Initiatives by advising the tribe on nutrition and fitness best practices, as well as identifying university fitness, sports and nutrition awareness activities that may benefit the tribe. 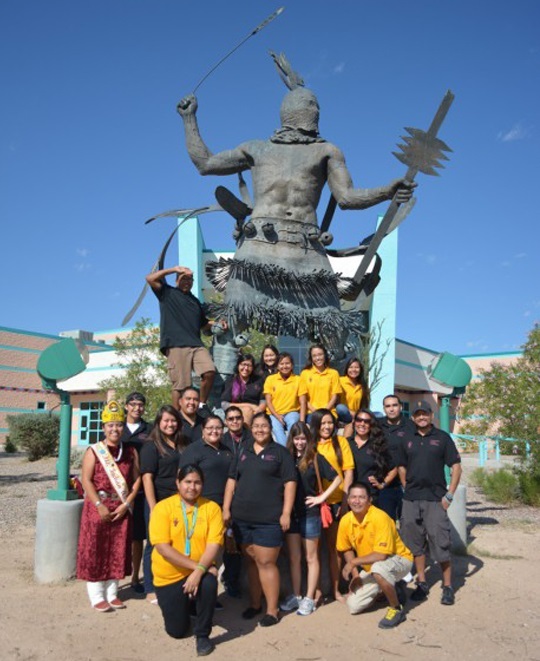 San Carlos Apache Youth leadership initiatives will involve ASU support in endeavors such as advisement on best practices to engage youth in academic and community leadership, hosting youth from the tribe for leadership through public speaking and writing skills support when available, as well as jointly researching grants and funding for youth participation in summer bridge programs that support incoming ASU students.